Although we mainly work with puppets for the theater, last month we had the opportunity to work on a short film project with She Monster Productions up in New York City. It was a video for the song ‘The Waltz’ by Ian Axel and featured several Muppet-style puppets alongside human actors. 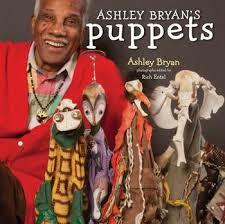 The puppets were provided by us and the New York based puppet company Puppetsburg. Set partly in the city and partly in an afterlife with a decaying, ornate feast, the video follows two women as they find each other, are separated through death and then find each other again. 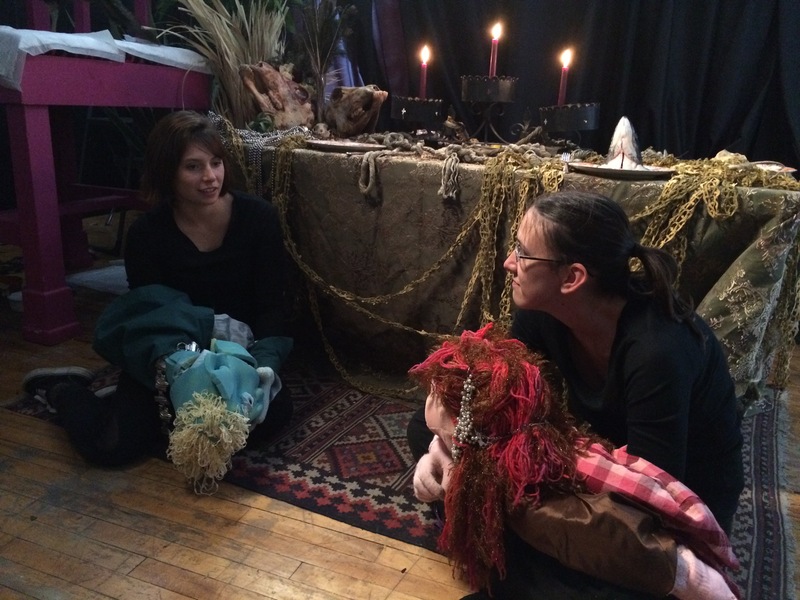 Puppetry for film is very different than for the stage, and although our arms got tired, it was fun to try moments over and over again, with no thought for an audience’s patience or sight lines. Everyone connected with the project was creative and eager to try new things. And we got to meet a peacock! His name was Dexter and he wasn’t all that thrilled with tons of people and puppets invading the apartment where he lives, so while it would have been fun to have the puppets try and interact with him, we resisted. Here are some photos of the shoot. We will share the video when it is finished! Emily and Cecilia resting between shots. 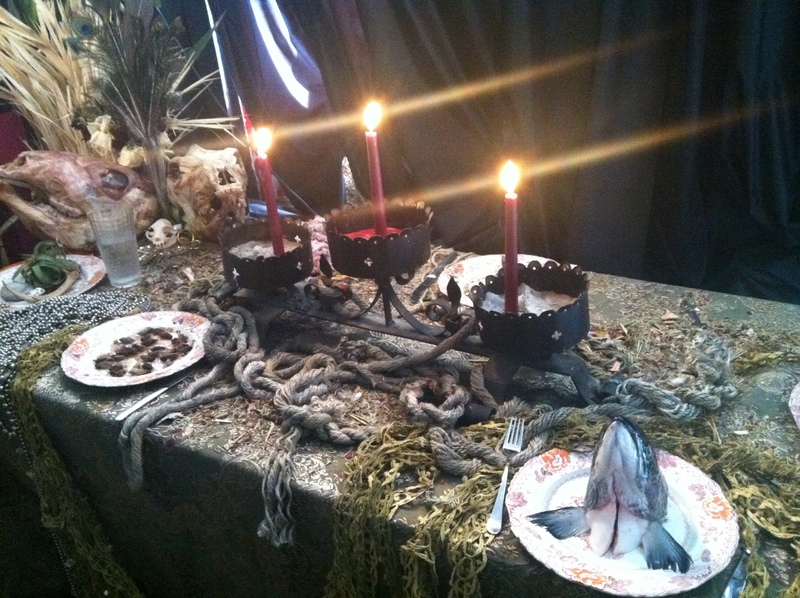 The feast table, set with all kinds of odd objects. Cecilia taking a quick nap behind the table. Puppets with one of the actors. They look cute, but they can be dangerous! 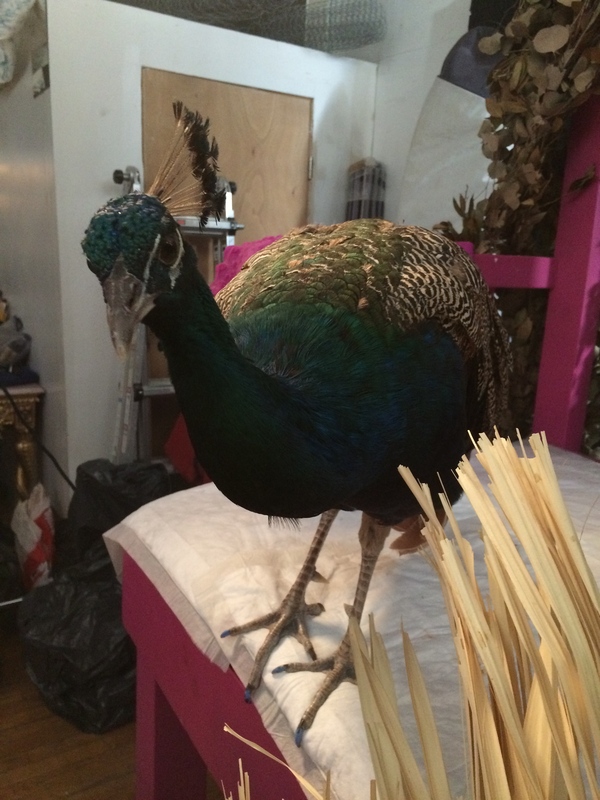 Peacock! Say hi to Dexter. Katherine Fahey’s amazing crankie. See #1. 1. 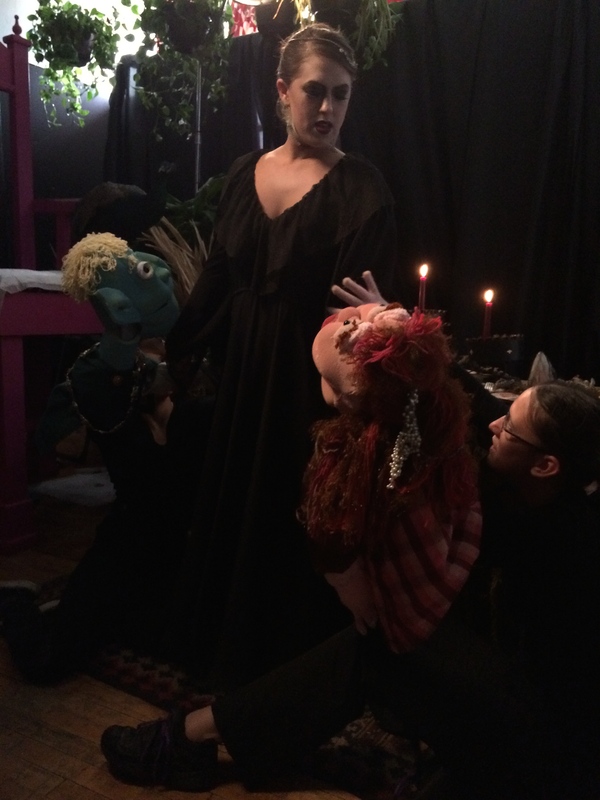 I was lucky enough to catch the work of the marvelous Baltimore artist Katherine Fahey at a Puppet Underground cabaret this week. 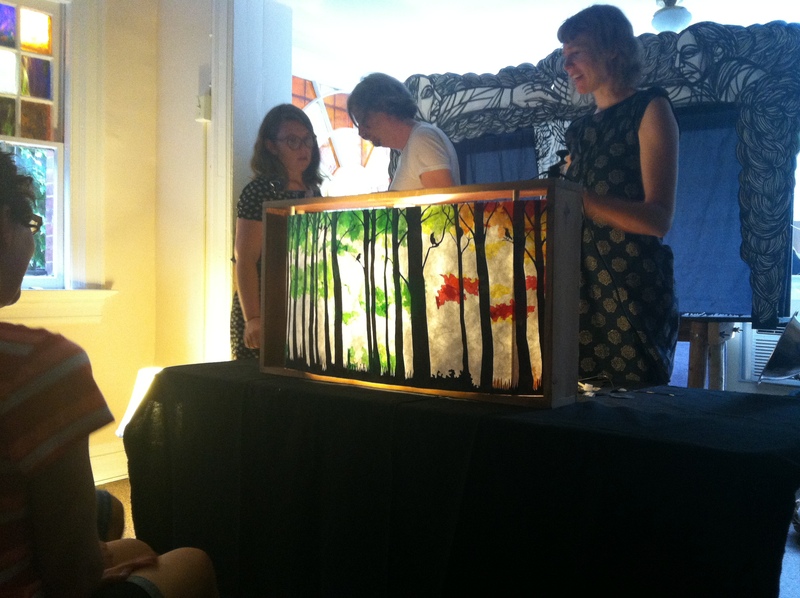 She creates beautiful shadow puppet ‘crankies’ for music videos and other stories. Check out some of her work here and here. 2. One of the places that has long been on my ‘To Visit While in NYC’ list is the Museum of the Moving Image in Queens. Now that they have announced the upcoming Henson Gallery, devoted to all things Muppet, I think it should move to the top of the list. 3. 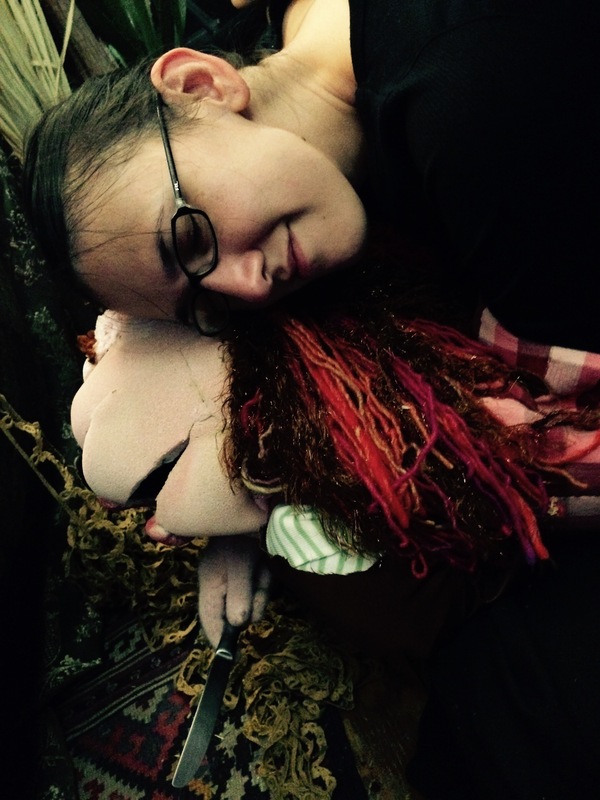 Baby Universe is a play opening next week at Studio Theatre, that combines puppets with a variety of other media. I won’t be able to see it, but it looks amazing, so you should all go and then tell me about it! 4. Our friends at SCRAP DC have announced their Summer Carnival! Cake walks, lemonade, face paint and games and best of all, all the proceeds go to helping this fantastic crew continue to bring us unique, affordable and recycled arts supplies. Tickets available here. 1. Artist Irving Harper is profiled on the website Etsy; take a look at his amazing paper creations! 2. The animated short Paperman by Disney won an Academy Award, proving that paper airplanes are the route you should take to find love! This is the same award won by Shaun Tan in 2010 for his short based on the picture book The Lost Thing. 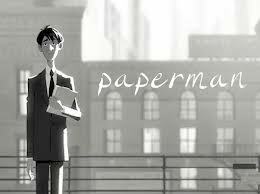 See the trailer for Paperman here. 3. Another spectacular combination of paper and video is the music video of this song by Josh Ritter. 12,000 pieces of construction paper were used! 4. Richard Sweeney is an artist from the UK whose paper sculptures have greatly influenced our designs for the environment and creatures for Paper World. You can take a look at his amazing creations on his Flickr page. 5. We were excited to see the dates announced for Figment DC 2013! 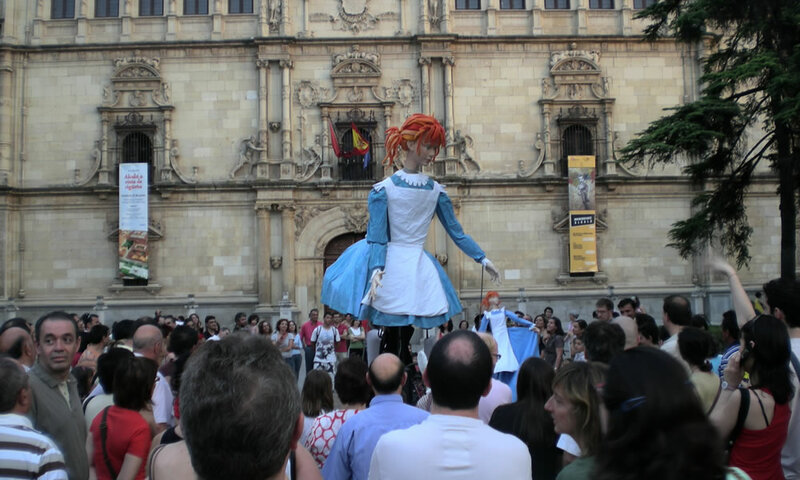 After our fantastic experience last year, which you can read about in this blog post, we are starting to think about what we can offer audiences at this year’s event. Maybe it will involve paper! Who knows?